Don’t you sometimes wish you could order up a fresh, homemade dinner instead of your regular repetroire of takeout? Well, New York City friends, now you can! 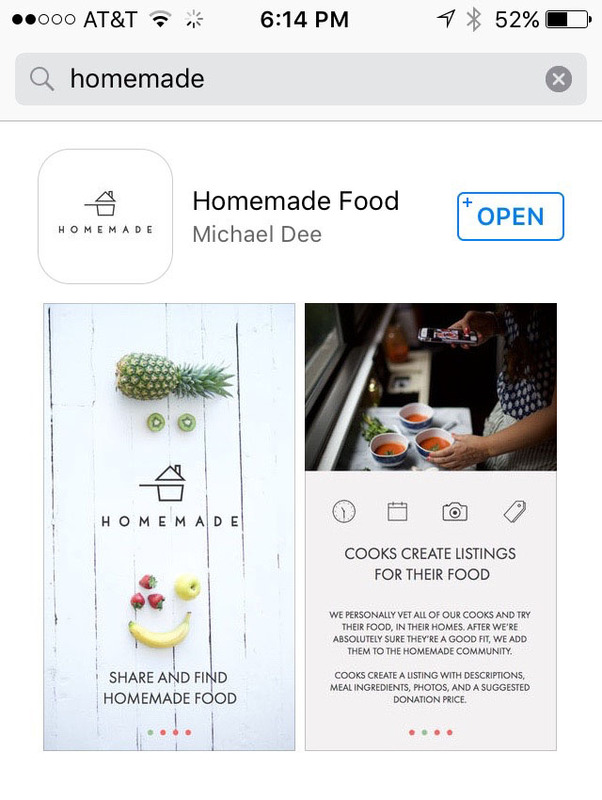 We are excited to announce that we just partnered with a new app called Homemade, which allows you to order featured meals and food items from local cooks around the city. You can arrange to pick up your dinner to enjoy in the privacy of your own home, without the shopping, cooking or dirty dishes. Delivery options are also available. We will be offering full meals, as well as select baked goods starting next week. Let us know what you would like our first dish to be in the comments below, and then head over to the app store and download HOMEMADE. We’ll be there next week as Indigo Jones Eats. We can’t wait to make dinner for you soon! This entry was posted on October 14, 2015 at 7:25 am and is filed under Food. You can follow any responses to this entry through the RSS 2.0 feed. You can leave a response, or trackback from your own site.